Finding the best schools in Rochester, NY for kids with autism can be challenging if you aren't familiar with the factors that make a program beneficial to a child on the spectrum. The Norman Howard School runs programs for children with autism in different ways that can be just as effective. Instead of only focusing on autism, this school educates students with a wide range of learning disabilities. Teachers provide individualized attention to students in grade five through twelve. The school helps students reach their highest potential by devising individualized education plans, which include remediation and learning strategies. Activities and reading programs such as the Wilson Reading System help children learn in the way that is most effective for them. An added benefit to the program is the school collaborates with community resources to best help students succeed. The Norman Howard School has three important recognitions that you should be aware of in your consideration when choosing from the best schools in Rochester, NY for kids with autism. It has the New York State Education Department's approval for its special education program and it has accreditation from the New York State Association of Independent Schools and the National Association of Independent Schools. Early Intervention evaluates the developmental progress of infants to age three to identify potential needs in the coming years. 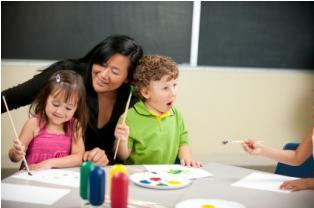 Preschool is much like standard starter schools with a half or full day for ages three through five. The school focuses on the needs of the children as teachers teach skills for the next level, School Age. School Age is for ages five to 21 years old. Instruction is individualized and students receive both therapy and education in a structured setting. Finding the best schools in Rochester, NY for kids with autism isn't difficult; it's locating the best one for your child that may take some effort. While you may hear from local residents that one school is better than another is, not every child is the same, and that means each one may have different needs not focused on in some schools. Plan to do a lot of research and visit all of the ones you are considering. Don't be afraid to ask questions and discuss the specific needs of your child. You'll find that the work you put into finding the best school will give you peace of mind because you know you've done all you could to give your child the very best.